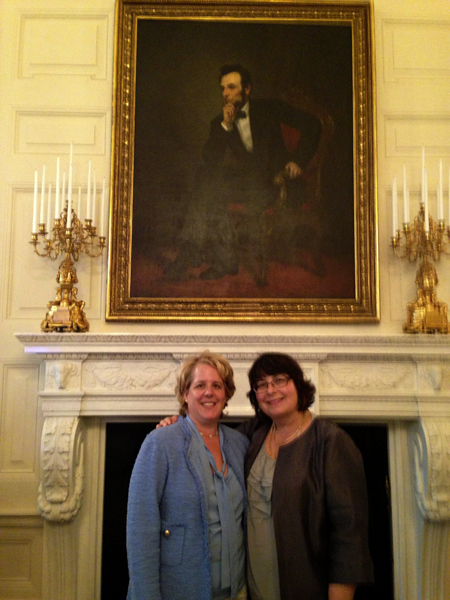 After DOMA was overturned by the United States Supreme Court in Windsor, a good friend (and extraordinary advocate) Mary Bonauto asked my wife Robbie Kaplan if she felt personally different after the decision. Meaning that, while everyone understands that the overturn of DOMA legally affects every married gay and lesbian individual and couple, granting us a multitude of hitherto withheld economic, social and legal rights, did that legal/social change make Robbie feel differently as a person? Robbie said yes. And I certainly feel yes. Yes, after DOMA there is the sudden and shocking relief of real rights, real respect. It’s as if having been used to living in a cramped, dark, airless space- so familiar it didn’t even feel confining, the door was opened and your sense of dignity and self-worth, which you didn’t even realize had felt imprisoned and distorted, was set free. Because we didn’t know what we didn’t know: we had never received the automatic respect and recognition of our marriages and families that are afforded to all other married U.S. citizens, so we didn’t really understand on a cellular level what it felt like to have that respect withheld from us. We knew what homophobia felt like: what dislike, contempt, disrespect, discrimination, fear, anger, lack of security, anxiety for our children – we all knew what that felt like. But we couldn’t really understand the inverse: the automatic sense of self, of comfort and safety that is afforded to you and your family when your government and your society recognize you. When it states with its full authority that you and your family are equal, that you are the same as every other American citizen. We just didn’t know what that joy and relief and self-respect would feel like.